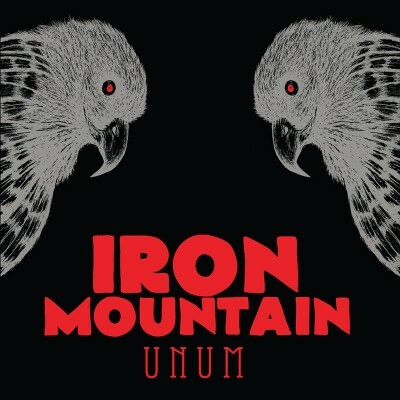 Iron Mountain are a Celctic post-rock band that seamlessly blends heavy, atmospheric rockist compositions with traditional Irish and Native American instrumentation that takes the driver’s seat, where the lead guitar traditionally sits. If you managed to sidestep the Dropkick Murphys/Flogging Molly stage of mid-’00s pop-punk, you can easily avoid the crippling PTSD flashbacks when you hear a power chord and uileann pipes played together in unison. Consider Unum a palate cleanser or a reset button on a culture and musical style that got supremely hijacked and inappropriately appropriated. That palate cleanser comes early and fast. “Bonfires” begins with slow-building swoops of guitar feedback, ruddy violin and a combination of Native American flutes and uilleann pipes that cast eliding melodies before a heavy-psych breakdown rips open the sky where the typical major-chord riffage of your traditional, crescendo-core, post-rock band would fill in. Instead, a killer solo by the pipes takes the place of some serious noodling of a King Crimson–worshipping, mini-prog tempest. This sudden break in the atmosphere is pushed further into Celtic territory as a traditional-sounding tune is met with pounding drums and distorted guitars. Each composition reaches past the nine-minute mark with moments of this dynamism, which seem to work against the post-rock playbook and make Unum an unexpectedly exciting record. The use of Native American instrumentation and imagery—as in the song “Powow”—performed and played by a group of Caucasians, comes with a sharper edge on the way down than does the appropriation of the folk music of the Irish, another oppressed group of people. While Native American rock groups such as XIT never quite got their comeuppance in the ’70s, the persistence of “tribal rhythms” in post-metal, indie rock and the ever-present, ever-patronizing Tim McGraw—and other white artists of his ilk—has continued on naïvely, impervious to criticisms of racism. Acknowledging this, however, isn’t accusing Iron Mountain of anything nefarious, but simply acknowledging that since the beginning of the 20th century, American, white popular music has been at once an act of appropriation and of innovation. The folk music at the core of these tracks is a constantly moving target that recalls archaic traditions, both occult and commonplace. The song in question, a bastardized spelling of “pow wow,” is a brooding funeral plod where the Native American flute and violin take turns stalking each other until drums and guitar break the track wide open. A lower-register brass instrument, resembling an alto sax, makes an appearance in my favorite passage of the record. At this point, a Sunwatchers comparison is most apt. The album’s longest player, “Opium,” is a churning, atmospheric slow-burn of a song that stretches its passages across vast spaces of electrically charged air before selling it all in a climax with all the Iron Mountain members locked into a kraut groove of laser-focused melodies. Damien Mullane’s guitars reach for the rafters in swelling tremolo updrafts before crashing to the floor in leaden riffs that collapse under the weight of their own heaviness.